North Devon is a special place. I’ve lived here most of my life and in terms of natural beauty, it’s hard to beat. We get our fair share of rain, but that’s why it’s so green and lush – as you can see. I’ve lost count of the times that I’ve roamed these hills and had my breath taken away by the rugged coastline stretching out before me. On a good clear day, numerous coves and bays are clearly visible. It’s a great place to think, pray and consider without fear of being disturbed. The fresh sea air and perfect solitude has a unique way of clearing the mental fog in your brain. I really recommend it. 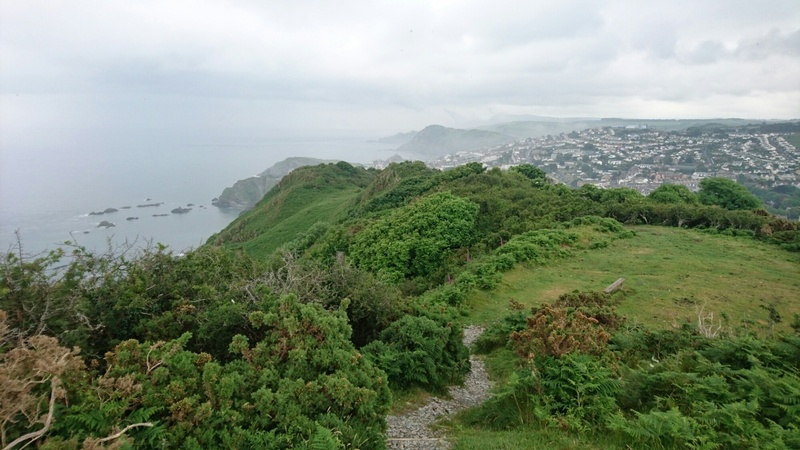 Posted on Jun 30, 2016 by John RabyPosted in BlogTagged Devon, Ilfracombe, natural beauty, North Devon Coast, Seaside town. Previous Previous post: Pappardelle’s, Arundel.